Every year, there are players in the NFL who exceed expectations. Some of them turn out to be one-year wonders, and others end up having Hall of Fame careers. Likewise, there are always players who fail to live up to the expectations set forth by their past performances or by the massive contracts they sign during the offseason. 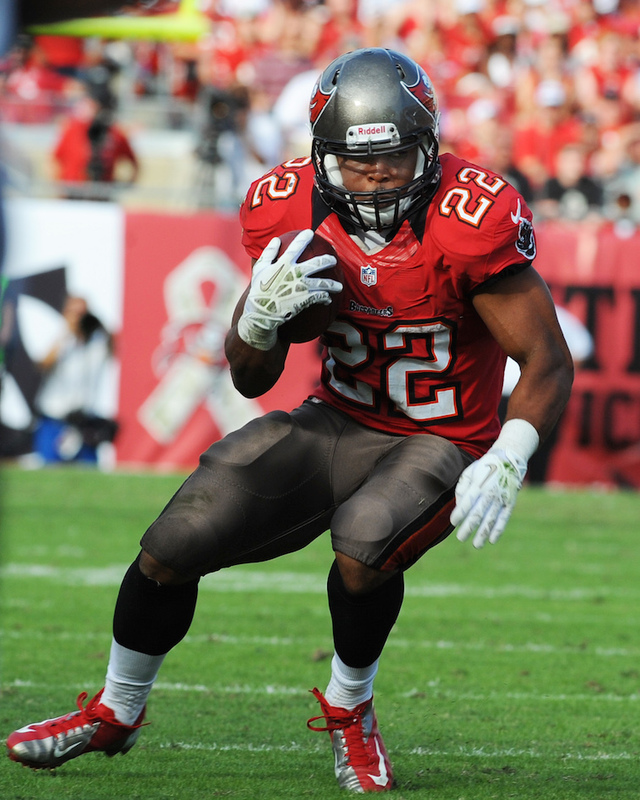 In 2012, Tampa Bay Buccaneers running back Doug Martin (pictured) burst onto the NFL scene by rushing for 1,454 yards and 11 touchdowns in his rookie season. Most people around the league expected Martin to follow up with another big season in 2013 and establish himself as one of the premier backs in the league. Instead, he rushed for only 456 yards and one touchdown while playing in only six games. Martin isn’t the only example of a player who has seen a huge decline in production from year to year, as it happens to several players every season. There are many factors that can contribute to a player’s decline in production. The most common elements in a player’s decline include, but are not limited to, injuries, a lack of motivation after receiving a lucrative contract that is high in guaranteed money, and playing in a different offensive or defensive scheme. There will almost surely be multiple players who suffer through a major decline in production in 2015. Yes, some of the players will be surprisingly unexpected. But there are others whose regression can be seen coming from a mile away. With that being said, here is a look at the top five players who could see a decline in their production in 2015. Forsett went from being a relatively unknown commodity to a Pro Bowl player in 2014. The Ravens initially signed Forsett with the idea that he would serve as the team’s third-string running back, behind Ray Rice and Bernard Pierce. 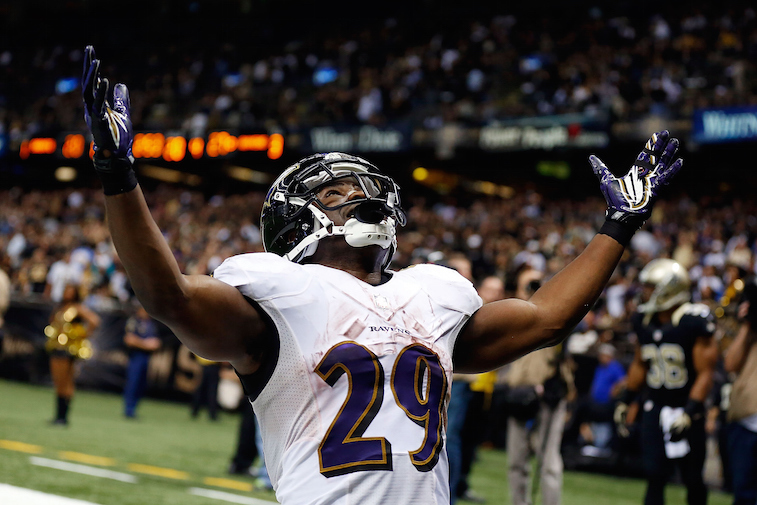 When Rice was lost for the season and Pierce failed to fully grasp the starting spot, Forsett stepped in and emerged as one of the best running backs in the league in 2014. The Ravens re-signed Forsett this offseason to a three-year, $9 million deal, but he could find it hard to replicate his 2014 season in 2015. Gone are offensive coordinator Gary Kubiak and his zone-blocking scheme that has produced some of the best single-season running back performances of the last decade. Kubiak knew Forsett well from their time together with the Houston Texans, and the 29-year-old running back was a great fit in Kubiak’s scheme. On top of having to adjust to a new system, Forsett will be 30 years old in October, and as we have seen on numerous occasions, most running backs see a big dip in production after their 30th birthday. The 2014 season was the first injury-free season of Murray’s professional career. The former Oklahoma Sooner went on to lead the league in rushing yards, win the NFL Offensive Player of the Year award, and lead the Cowboys to the divisional round of the NFC playoffs. His performance in 2014 earned him a five-year, $40 million deal with the Philadelphia Eagles. The problem for Murray and the Eagles is that Murray had a near record-breaking workload for the Cowboys in 2014. Without even considering his track record of injuries, history would suggest that Murray’s production will take a major dip in 2015 based off his workload in 2014. Over the last 10 years, four running backs have carried the ball 370 or more times in a single season. Those four running backs have individually averaged just more than 1,000 fewer rushing yards, 12 fewer rushing touchdowns, and 182 fewer carries in their next season. 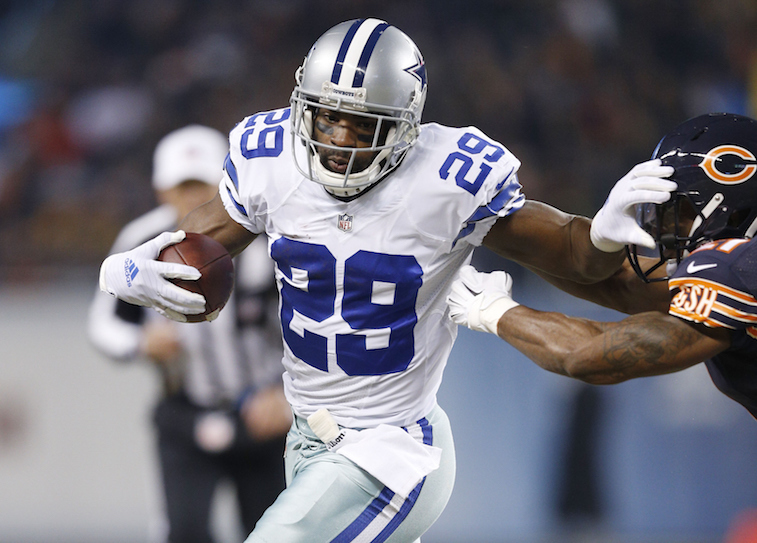 Murray carried the ball 392 times in 2014, which also happened to be his contract year. Due to the Eagles’ crowded backfield, there is a very slim chance Murray even comes close to 392 carries in 2015. Additionally, don’t be surprised if his 2014 workload leads to nagging injuries in 2015 that Murray won’t play through when he doesn’t have a contract extension on the line. 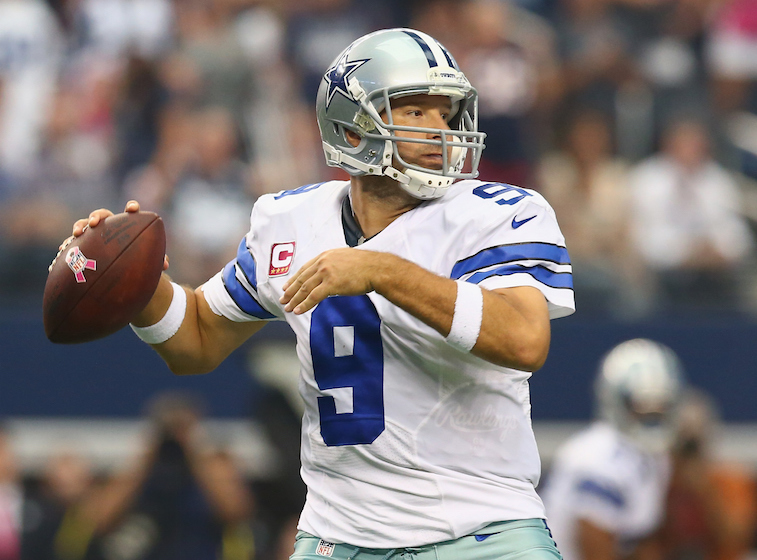 With a lot of help from his team’s dominant running game, Romo had the best season of his NFL career in 2014. The 34-year-old Romo earned the first All-Pro selection of his career last year, albeit a second-team honor, in large part because the Cowboys weren’t totally dependent on him to score points. With the massive amounts of success that the Dallas rushing attack had behind the league’s best offensive line, opposing defenses were forced to adjust accordingly and had to load up the box to try and stop the run. This fact made life much easier for Romo in 2014. He was incredibly efficient off playaction, and the six- and seven-man fronts opposing defenses were throwing at the Cowboys opened up the secondary — all of a sudden, Romo wasn’t forcing throws into double and triple coverage. Unfortunately for Romo and the Cowboys, running back DeMarco Murray, the 2014 NFL Offensive Player of the Year, signed with the Philadelphia Eagles this offseason. The Cowboys will undoubtedly be looking to establish their rushing attack again in 2015, but without Murray that may prove to be difficult. If Jerry Jones and Jason Garrett fail to find an adequate replacement for Murray, they will likely see a version of Romo in 2015 that resembles the pre-2014 talented, but inconsistent quarterback who disappeared in big games. In a move that ended up paying off in a big way, the Lions signed Tate to a very reasonable five-year, $31 million contract last offseason. He was brought in to serve as a No. 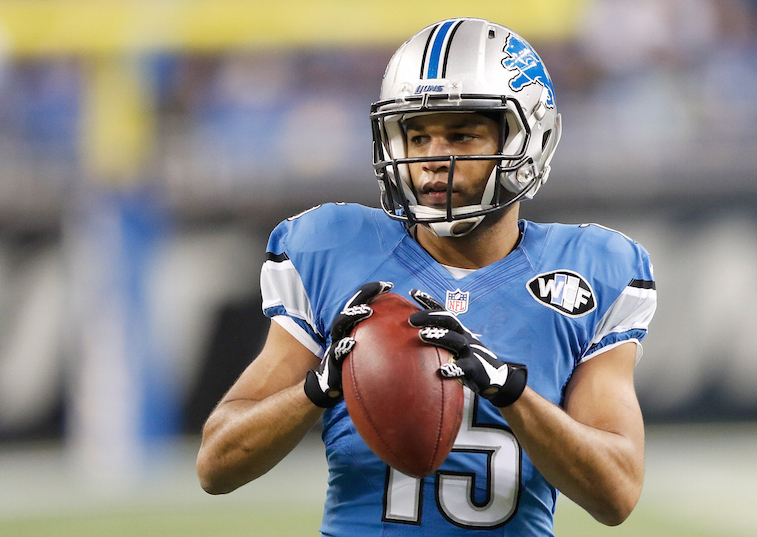 2 option opposite All-Pro Calvin Johnson, and as Johnson suffered through numerous injuries throughout the season, Tate moved into more of a No. 1 role in the Lions’ passing attack. While Tate is likely to have another solid season in 2015, if Johnson returns to full strength — and all indications are pointing in that direction — Tate will see a significant decrease in his total number of targets next season. 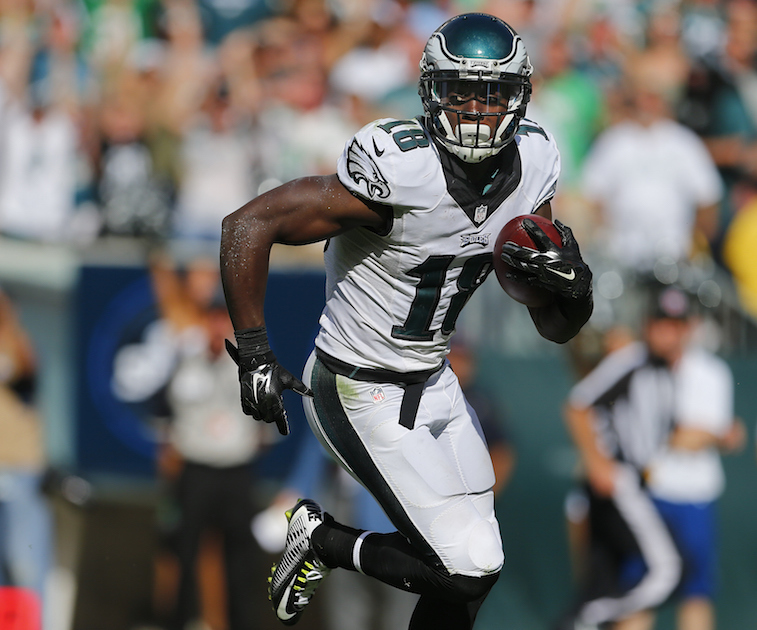 Maclin had the best season of his professional career in 2014 after successfully recovering from a torn ACL he suffered in 2013. He thrived in Chip Kelly’s offensive system, but instead of re-signing with the Eagles, Maclin chose to join the Kansas City Chiefs and reunite with Andy Reid, the coach who drafted him out of Missouri in 2009. Maclin played for Reid during his first four years in the NFL, and not once did the 26-year-old wideout eclipse the 1,000-yard receiving mark during that time. After signing a five-year, $55 million contract with the Chiefs, the expectations for Maclin will be to produce like he did for the Eagles in 2014. Given that he has never come close to those types of numbers in Reid’s offensive scheme, it’s safe to assume that we will see a decline in Maclin’s production as a member of the Chiefs in 2015. All statistics are courtesy of Pro-Football-Reference, and all contract data are courtesy of Spotrac.